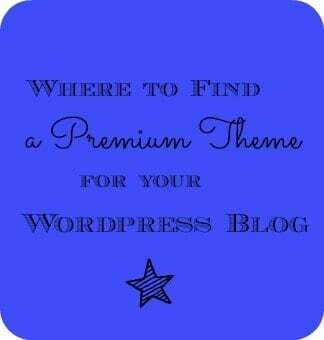 When you switch over to WordPress, you are going to need to choose a theme for your new site. Your theme is like the backbone of your blog and it determines how your new site is going to look. For example, maybe you want to go with a more basic theme or go all out on a magazine style theme. It’s up to you depending on how you want your site to look. There’s sooooo many themes to choose from! I remember how daunting it was when I had to pick out a theme for my site. I had no idea where to start! That’s one of the reasons I created this list of WordPress Themes for you to browse through and find one that works for you. Some of them are premium themes meaning you have to buy them. There’s also free options out there too. For myself, I prefer the premium themes because I am of the belief you get what you pay for. I wanted to go with a reputable theme developer that offered support if something were to happen. However, I am sure there’s great free themes out there too that work well for some people. Please have a look through these sites and check out all the themes and find one that appeals to you. Solostream: I purchased my theme from Solostream and it’s been working out wonderfully. I went with WP-Ellie and paid $79 in case you are curious. StudioPress: This is another good one with a good selection of themes. This would be my next pick of themes to use I think if I didn’t already use Solostream. 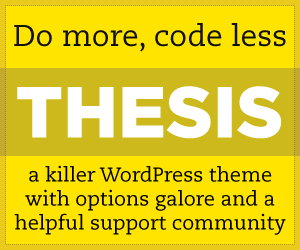 The Thesis Theme for WordPress: This is another popular theme that I hear buzz about all the time. People seem to love it and its used by over 33K people. It costs $87 for the personal option to use on one site. Elegant Themes: This one is set up a little different. You just need to join the site for $39/year and then you have access to any of the themes they offer. Right now they have over 52 themes to choose from and they are always adding more each month. Plus you have access to their support services. It’s one of the more affordable options available online. BizzThemes: Find professional looking themes here and the pricing starts at $69. 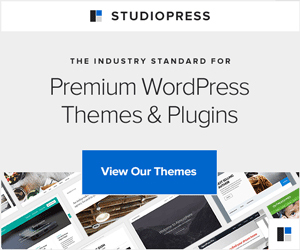 Templatic Premium WordPress Themes: This one also has a membership club and it’s $299/year to give you access to all the themes. They have some nice magazine style themes that I really like. You can also purchase just one theme if you don’t want to pay for a membership. They are priced around $65. I love The Thesis Theme for WordPress. It looks awesome and doesn’t cost too much! I would also suggest SWIFT Themes (swiftthemes.com). I am using it and it’s comparable to Thesis or StudioPress…but it’s FREE. I love it. I tried at least 100 free themes before I found one that did what I wanted. ATAHUALPA! It is free and can be downloaded from the WP themes section of the dashboard. When my blog designer, Jen, worked on my blog, this theme was new to her. She is now recommending it to her WP clients. If you’d like to see it in action, here are several blogs that she has designed with the Atahualpa theme. Atahualpa has so many different customization possibilities that it would take a BOOK to explain them all! And, I was even able to figure out how to use most of them myself. LOL! But, you can change the number and placement of columns, change the header, change the colors of titles/posts/text/etc., change the fonts, change the menu bar position, and so much more! I love it! I’m using WordPress Weaver for mine and it is very easy to figure out and customize too! Is it a free one or one you have to buy? It’s free, I got it from my Dashboard. I plam on using Thesis, but I have heard great things about Atahualpa. An option for someone wanting to avoid paying a designer, is Artisteer. I have a friend who redid her own design (& it looks great!) using Artisteer. There is a free version & a pay version as well. It’s a drag & drop kind of thing & you can create custom looking WP blogs in minutes. Thanks so much for providing this list – I am currently looking for themes to consider as I continue on my path from Blogger to WP and I know this will be invaluable! I also appreciate you adding the WP category to your blog. Although I subscribe to your newsletter, I also visit your blog several times a week, especially when I am looking for specific information. It made finding what I needed much faster and easier this time round!